Professional Computer Systems offers cost-friendly and reliable solutions for your home, business or office. Easy and effective remote server monitoring that enables us to manage the health of one of the most critical business systems – the server. Professional Computer Systems (PCS) Remote Management Server Monitoring for Windows and Linux helps you avoid the risks of expensive remedial action and reputational damage through proactive monitoring of server security, hardware and disk performance, applications and bespoke software. How often do end users complain of slow systems? Getting to the root of the problem isn’t so easy and can soak up valuable IT time. With server and workstation performance monitoring you have easy access to historical trends for faster diagnosis and resolution of issues. Having visibility of which servers and workstations are reaching their limits gives you time to do something about it before system performance and business productivity start to suffer. Problems with workstations have an impact on productivity, so when there's issues, the result can be a productivity-sapping loss of time for users and a knock-on effect across the organization - and that’s bad for business. The Workstation Monitoring tool for Windows and OS X Operating Systems makes it easy to spot and quickly fix periodic workstation problems. No matter what Operating System clients use –Windows or Apple Mac - Remote Monitoring has it covered. We Monitor ALL desktops and laptops. Whether on the network or out in the field, Workstation Monitoring can run on any Windows or Apple Mac desktop or laptop - and check for critical issues at a time set by you. It gives us the information we need to do a great job - with minimal impact on the user or the machine. And with central deployment from one networked device, you can be up and running in just 10 minutes. Issues with a software upgrade? Choosing a computer system to fit your business environment? Modifying a current system that badly needs repair? Trading in your old hardware for more up-to-date and efficient technology? For all your computer and systems concerns, turn to Professional Computer Systems. Professional Computer Systems is a computer solutions and repair services provider in El Paso, Texas. We serve residences, offices and businesses in the area that have software, hardware, and connectivity requirements. We immediately respond to your repair and maintenance requests. Installation of business computing systems is also one of our specialties. Everything you need for your home office or business network to efficiently run is offered at Professional Computer Systems. Your business is the product of all your efforts. And we cannot afford to see it trampled in the course of your journey. Together, let us work to improve the things we must and implement innovative computer programs and repair/maintenance solutions. At Professional Computer Systems, we have different IT professionals who are considered masters in their fields. We are a team of skilled managers, engineers, programmers, and developers. More than that, majority of our technicians has been practicing in the field for many years. Experience does count! Because you have your own business to take care of, Professional Computer Systems makes computer maintenance less of a hassle. 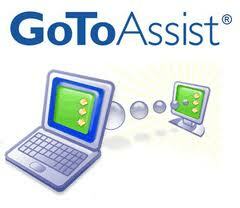 We value your time very much that we make it convenient for you to interact with our expert IT technicians. Please call (915) 726-4134 and address your concerns and inquiries. You may continue reading our web page to learn more about how we can be of service to you. For home computer networks, we offer installation, maintenance, computer repair, troubleshooting and upgrades.